[Blind Gossip] Ah, faux couples. 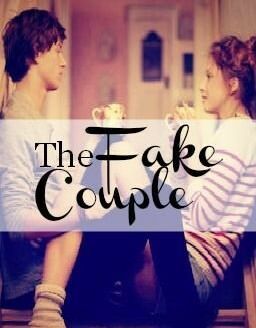 A male and female actor who star together in a television series or a film or film series, and then fake a relationship outside of the project for the publicity. Their fans and “shippers” really want to believe that the relationships are real, give them cute nicknames (e.g.”Robsten”), write fan fiction about them, and dream about them getting married and living happily ever after. Then we come in and tell you the truth. This blind item is going to hurt more than most for many reasons: Because this television show is still on the air. Because the show’s fans are very passionate (and a little crazy). Because they want to believe that an on-screen relationship became on off-screen relationship. Because one half of the couple supported the other half when they were going through a personal crisis. And, finally, because half of the couple isn’t here anymore. Yes, she is sad that he is gone. But not “girlfriend” sad. She is “friend” sad. 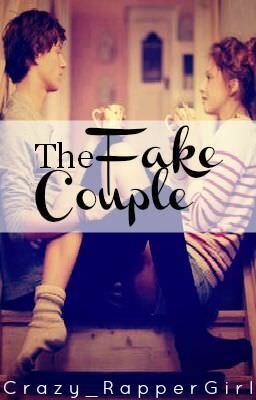 This couple was fake. The two actors were friends and liked each other, but the boyfriend/girlfriend relationship on air was purely imaginary and did not happen off air. Actually, they didn’t even spend a lot of time together when they weren’t working or getting together for photo ops. Her friends are very different from his friends, and her off-screen life was very different from his off-screen life. Vacation photo ops were staged. They each brought their own friends, stayed in separate rooms and simply got together for photos. Remember that “romantic” ski trip they took together? They would take the ski lift up together, and do a photo op on the top of the mountain. He would later show off those photos on a talk show to “prove” that they were a couple. The truth is that after the photos were taken, he would go snowboard and party with his friends and pick up random girls at night. Yes, he was into girls, even if his fake girlfriend was not one of them. In fact, there were a lot of girls in the past few years, although no one special. He never was much for relationships. He preferred to hang with his friends, pick up a girl for a night or two of fun, and keep things very casual. Sometimes you would see his fake girlfriend driving “his” car. Well, he did own a car, but she wasn’t allowed to drive it. The car that she drove wasn’t his car. It was a car that the network leased so it would look like she drove his car. And despite what she says, they were never going to move in together. They were going to fake it. She had her house, and the network leased a nearby apartment for him. They were just going to stage regular photo ops to look like they lived in the same house until they broke up. That’s it. Yes, there was going to be a “breakup”. It was going to happen after the show was off the air. The two of them were prepared to go the distance with the fake relationship for as long as the show was in production. Now that he is gone, she can’t admit that they weren’t boyfriend and girlfriend, or that everything was staged, or that they were never going to move in together or get married. It would make her look really fake and really bad. No, she is now stuck with that lie forever. One last point. It’s about that very public tribute that you’ll see soon. There are many actors with a broader and more critically acclaimed body of work who deserve a public tribute much, much more. However, those actors don’t have the large and young fan base for which the networks live and die. And they don’t have a fake and famous girlfriend in the audience to tearfully clutch a necklace and pretend that she just lost the great love of her life. It’s Lea Michele and Cory Monteith of Glee! Remember Robsten? That fake off-screen coupling of Robert Patinson and Kristen Stewart? One of the reasons that Twilight was so popular is that fans really believed that the on-screen relationship of Bella and Edward was mirrored in the off-screen relationship of Robert Patinson and Kristen Stewart. Well, Monchele (Cory MONteith and Lea MiCHELE) was designed to replicate the same fervor of Robsten. Except that it didn’t. Film series are not TV series, movie stars are not TV stars, and vampires are not singing high school students. Finn and Rachael just didn’t have the same romantic pull of Bella and Edward. But lots of Glee fans believed in Monchele anyway. They excitedly reported each photo of the couple shopping for groceries in Beverly Hills or kissing at a hockey game in Madison Square Garden or snowboarding in Canada. They spun their fantasies about Monchele on Twitter and Facebook and Tumblr, and speculated about what their wedding would be like, which Glee cast members would be bridesmaids, and what their children would look like. The rest of the Glee cast played along, too. Why? Because they were contractually obligated to do so. Some – but not all – of the crew were in on it as well. Some cast members, like Jane Lynch, played along enthusiastically, talking about Cory and Lea being a couple off screen. Others, like Chris Colfer and Dianna Agron, would just smile and say as little as possible when the topic came up. But the fact is that Monchele was a lie. We consistently told you that the Robsten relationship was created in a publicist’s office. Robsten fans screamed and wailed and called us liars. We told you when they were scheduled to break up, and, indeed, they broke up right on schedule. Well, Monchele was also created in a publicist’s office. 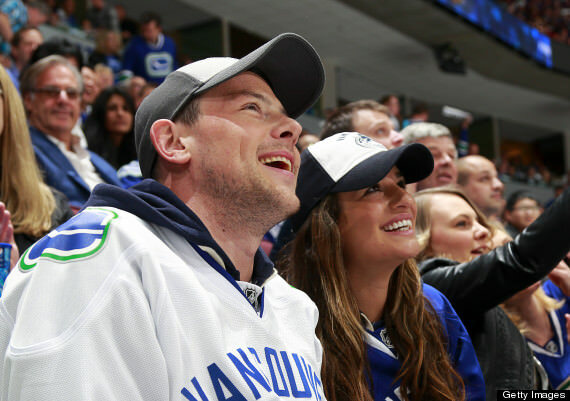 Lea Michele and Cory Monteith were friends, but that’s all. They had a performance contract for their fake off-screen relationship. All of those photo ops of dates and intimate moments were staged. OK, Cory, you’re going to be on Ellen in December. We want you to talk about Glee as a family and your relationship with Monchele. You need to have a cute story to tell. We’re going to send you both – along with your friends – on a ski vacation to Whistler for Thanksgiving. 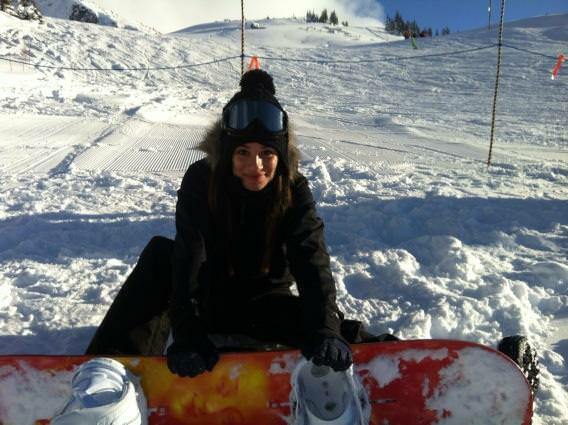 Go with Lea to buy a snowboard, and make sure to get some casual photos on the top of the mountain. When you go on Ellen, the questions about Monchele will be included in the sit-down interview segment. Tell a story about how you and Lea went on a romantic vacation alone together over Thanksgiving together and how Lea learned to snowboard and show the photos. Yes, it was all staged. It was all a publicity stunt. They never took romantic vacations with each other (each brought their own group of friends and family along to hang out with). They were never in love (although they cared about each other as friends and colleagues). They were never going to live together (although the company rented Cory an apartment near Lea’s home to make it more convenient for photo ops). They were never going to get married. Their fake relationship was going to end after the series ended, just as Robsten’s did. However, because of Cory’s sudden passing, Monchele will never have that sort of neat wrap up now. Lea Michele and the rest of the Glee cast are now stuck with that fake relationship, in lie limbo, forever. This is a BlindGossip.com exclusive story. In keeping with our Terms of Service, we ask media outlets and bloggers and social media users to clearly and properly credit and link to BlindGossip.com when discussing this story. Thank you for your professional cooperation!